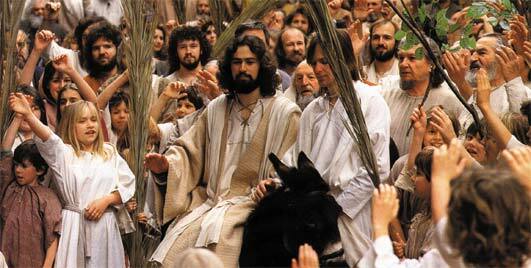 Your King is Coming: A Palm Sunday Meditation | Dr. Z. In a time when hope was needed, the prophet had this to offer: the king is coming. A century earlier God’s wrath toward his people’s idolatry had driven them into exile, and the consequences endured long after the return. Twenty years later, it was clear: things would never be the same. Their kingdom, their culture, their relationship to God… all seemed unrecoverable. God told them to rebuild the temple, but they knew their meager resources could never replicate anything approaching their memory of Solomon’s Temple. So there was little energy for the task. In this context, Zechariah is sent by God to call the people to finish the temple. Why? Because the king is coming. Sin must be forsaken, God must be obeyed, his word must be celebrated, the temple must be finished, because the king is coming. Many prophecies anticipate Messiah, the deliverer, the Savior, but none more clearly than Zechariah 9 reveal that this one who God would send would be king. And a certain kind of king, one who is righteous and humble, in contrast to the deprived rulers of Israel and Judah’s history. More importantly, the king is coming with salvation. This king is going to be a savior! A deliverer! He will fix what is broken. He will bring prosperity back. He will restore peace. The king is coming! What an encouragement to those who heard Zechariah’s words! The king is coming. In fact they did finish the temple. Then came 400 silent years, dark years, years of defeat and occupation. Many despaired. But others clung to that sliver of hope: the king is coming. Then, Jesus was born! Elizabeth and Mary hoped, Herod raged, Simeon rejoiced, all for the same reason: the king is coming. As Jesus began his ministry, people started to wonder. John is preparing the way for a king, and proclaiming a kingdom, could this mean the king is coming? Jesus begins proclaiming a kingdom, and performing incredible kingdom signs, like turning water to wine, like feeding 5,000, like countless exorcisms and healings, does this mean the king is coming? The questions grew, but three years into Jesus’ ministry, came a turning point: Jesus raised a man from the dead. Lazarus, dead four days of death, is now alive! A resurrection can’t be explained away. This isn’t a fluke, it’s an unprecedented reversal of the natural order, a miracle that could only be from God. Someone who could do this could only be God’s sent king. The king has come. So, the crowds, who had been wondering about Jesus, after Lazarus seem convinced. They “believed in him” (John 11:45). The king has come. Lazarus is also a turning point for the Jewish leaders. “If we let him go on like this,” the council said, “everyone will believe in him” (11:48). The king has come. They were terrified. It was because of the Romans. The Romans didn’t mind Jewish teachers, but they didn’t accept rival kings. The Pharisees, their power, and their lifestyle were in grave danger, because the king has come. “So from that day on they made plans to put him to death” (11:53), because he was the king and the king has come. Meanwhile, it’s time for the Passover, the great feast celebrating God’s deliverance from Egypt. The whole nation streams to Jerusalem, as always, but this year with special excitement, because the king has come. After raising Lazarus, Jesus hadn’t been seen for weeks. Nobody knew if he would show up. The king was in danger. But, one evening, six days before the feast, he suddenly arrives in Bethany, a suburb of Jerusalem, just the next hill over. And the news spreads like wildfire: the king has come. Jerusalem, already the biggest city in the land, this week double- size with pilgrims camping everywhere, is abuzz with the excitement. The king has come. By the next morning, a huge number of people know. This is the day Jesus is coming to Jerusalem. He’s come before. But not since he raised a man from the dead. It is time for everyone to say it: “the king has come.” A crowd gathers, because the king has come. If Caesar came to town, everyone would come out to meet him, and this king deserved a royal welcome too. The king has come, so they prepared like he was a king. The king has come, so they honored him like he was a king. The king has come, so they greeted him like he was a king. When the crowd saw him, they belted out Psalm 118 “Blessed is he who comes in the name of the Lord.” They praised God for sending this deliver. They added their own phrase, “even the King of Israel” (12:13). They wanted it explicit: the king has come. It’s a scene of fulfillment. Like Zechariah foretold, Jesus rides not a warhorse, but a donkey, as a king would in peacetime. The king has come. Just as the prophet said, the people are rejoicing greatly. The king has come. They wave branches of date palm, a symbol of victory, because the king has come. So much happened during Jesus’ earthly ministry, but this is a high point, the moment where the crowd sees him as king, treats him as king, and is ready to follow him as king. All four gospels record it: this is a moment of vital importance. No more secrecy. Jesus is in the open. The Messiah is here, the Son of God has arrived. The king has come!!! But just as everything comes together, just when Jesus is on top, everything falls apart. As Jesus is heralded by the crowd, he doesn’t seize the moment. He doesn’t say, “let’s go storm the Roman garrison!” Instead he weeps (Luke 19:41). It plants a thought: “has the king not come?” He doesn’t inspire the troops, but instead declares grief and defeat (19:42-44). Has the king not come? The crowd at first responds positively. They “continued to bear witness” (John 12:17), they knew he raised a man from the dead. But the cracks are starting to show. After all, they just followed him because “they heard he had done this sign” (12:18). They started to wonder – “has the king not come?” What kind of king is this anyway? While the disciples and the crowds wrestled with their conflicting thoughts, the minds of the Pharisees were made up. Their priority wasn’t the truth, but what it took to maintain their power. For them, it was a forgone conclusion. The king hasn’t come. Yet they sense their side is loosing. Their hand is being forced. A new king is being welcomed. “The world has gone after him” (12:19). They had talked about killing this radical, but hadn’t wanted to do it during the feast (Matt 26:5). They wanted to deal with him quietly. But with the triumphal entry, Jesus forces their hand. They need to get rid of him fast, because the king hasn’t come. With the opposition of the Pharisees, it doesn’t take long before the crowd turns too. After cleansing the temple, Jesus offers a two point message about how 1) he intends to die (12:23-25), and 2) death is what his followers can expect too (12:26). And that little sermon does the trick. It is now clear to everybody, the king hasn’t come. The crowd flips quick. Before, they’d witnessed Jesus’ miracles and perceived the arrival of the king. But now, when God speaks and affirms his son Jesus, “the crowd that stood there and heard it said that it had thundered” (12:29). They’re so hardened in their opposition that they explain away the very voice of God. No, the king hasn’t come. Jesus explains the necessity of his death once more, but instead of accepting belief the crowd offers critical questions (12:34). They’re now in the Pharisees’ camp: The king hasn’t come. We have an expectation for what we want the king to be, and you aren’t it. We want a forever king. We want a political deliverer. And now we see, that that’s not what you’re here to do. So we know you aren’t our king. Our king hasn’t come. We don’t even know who you are. It’s so like mankind, like us. We cry out for God to send help, and we reject the help he sends. We cry for salvation, but we don’t want to be saved. We cry out for hope, but we prefer misery. We cry out for a king, but we don’t want to be subjects. We all, in our natural state, look at the evidence in creation, in Scripture, in history, in our own experience, and we like this crowd close our eyes and say the king hasn’t come. Not because we don’t want Jesus as a king, but because we don’t want any king. A king is someone who is in charge. A king is someone who demands you listen. A king is someone who tells you what to do and where to go. And we, like the Jewish crowds, don’t want that. “Sure, I’ll accept a king if he meets my criteria,” we think. Oh, so you’ll accept a king, as long as he can’t correct you? As long as he can’t tell you to do anything you don’t want to do? You don’t want a king, you want a servant. You, and I want to be king ourselves. We say “the king hasn’t come,” because that’s what we have to say to get out from under his rule. We want to rule ourselves… we don’t really want a king. However, the crowds were wrong. The Pharisees were wrong. We are wrong. The disciples didn’t understand at first, but “when Jesus was glorified, then they remembered” (12:16). Later they got it. The king has come. They could have seen it. The same crowd sang from Psalm 118, a text associated with Passover, a Psalm on everyone’s hearts and minds at this time of year. How did they miss what the Psalm says just a few lines earlier? “The stone that the builders rejected has become the cornerstone” (Psa 118:22). They’d been right to say it was about Jesus, but they’d missed that the one who comes must first be rejected. They wanted to follow an exalted king, not a rejected king. They wanted to share in exaltation, not in rejection. The king has come! But he isn’t the king they wanted, the king they had imagined, the king that would be exalted now, the king that was like them, made in their image. The king that actually had come was God’s king, the one the prophets spoke of, the one that must be rejected and then exalted. They wanted a powerful king, but he was a humble king. They wanted a king in their image, but he was triumphant over all. They wanted a victorious king, but he was a weeping king. They wanted a conquering king, but this was a rejected king. The king has come! But he isn’t the king you wanted. The crowds, in their rejection of the one they once praised, ironically fulfill yet another prophecy. They are the miserable builders who reject the priceless cornerstone. Their rejection didn’t prove the king hasn’t come, in fact their rejection fulfilled yet another prophecy and proved even more that the king has come. The true king had to be rejected, and their rejection proved Jesus was the true king. The king has come. Jesus understood all along. So he explains, “the hour has come for the Son of Man to be glorified” (John 12:23). It is time. It hasn’t been time before now, but Palm Sunday is time. That’s why he is forcing the issue, that’s why he’s coming out of hiding, that’s why he’s publically declaring himself as king, because his hour had come. Nobody is forcing his hand. He is forcing their hand. Jesus is not an unwitting victim, but a master strategist. Every action of Jesus is evidence of a brilliant, faithful, incredible, powerful plan that he is enacting steadily as he moves toward his own crucifixion. Jesus knows all Scripture speaks of him, and he works with his disciples for his coming into Jerusalem to perfectly fulfill prophecy. He had come to be the Passover lamb for his people, so he forces this decisive confrontation in such a way that he is killed… on the Passover. He’s making people decide how they will respond. Crown him or kill him. You have to decide, because the king has come. Remembering Psalm 118:22, Jesus knows rejection has to come before glorification, and illustrates: “unless a grain of wheat falls into the earth and dies, it remains alone; but if it dies, it bears much fruit” (John 12:24). If you just take a piece of wheat and put on your shelf, and exalt it, it isn’t going to bear fruit. You can yell at it “bear fruit, bear fruit,” it’s not going to happen. But if the grain is rejected, if it falls to the ground ignored, and dies, from that a plant springs. And it bears much fruit. So Jesus is saying what Psalm 118:22 already said – this king has to die. Yes, the king will be exalted, but he has to be rejected, he has to die. Then Jesus turns it around, and says that’s true of you too. “Whoever loves his life loses it” (12:25). You want exaltation now? You want power and comfort now? You want all your problems fixed now? You want to use Jesus to elevate yourself? That’s in all of our hearts, but that shows our love for ourselves. And he says if you are trying so hard to hold on to your life – to maintain your own kingship – you will loose your life. That’s what happened to the Pharisees and that’s what happened to so many in the crowd. They couldn’t have Jesus as their king because it would cost them all their identity was based around – but in the end, their rejection cost them much more than that. “And whoever hates his life in this world will keep it for eternal life.” The example is Jesus himself. He didn’t gather all he could in this life, but he came and he served and he gave and he laid his life down for others. He was rejected and in his rejection he secured eternal life for many. The king has come, so this Easter every one of us confronts the same choice this crowd did. Crown him or kill him, there is no middle ground. Welcoming the king and accepting the king are not the same thing. This Easter, that’s great that you say “oh, Jesus is my king” but are you like these crowds, who follow him for a time out of your convenience? Maybe celebrating Jesus sometimes, not other times, and never feeling that responsibility to act as if he were king? That doesn’t make sense. Either he’s king or he isn’t. Either he’s the Lord or he’s not. Which is it? Jesus was rejected, and following him means you will be rejected. Are you ready for that? Don’t insult Jesus by telling him you like him, or respect him, or are neutral toward him. Study his teachings, hear his claims, listen to his voice, see what kind of king he is, and make your choice – has the king come? If you follow this rejected king, if you live as his subject, you will be rejected. The reward is eternal life, but the cost is everything else. Isn’t that worth it, since the king has come? Will you loose your life for this king? Isn’t that worth it, since the king has come? The alternative is to pretend he isn’t the king, to join the crowd and say “the king hasn’t come.” But the king has come. Jesus didn’t actually fulfill all of Zechariah’s prophecy. After all, he was never formally crowned king. After all, Zechariah 9:10 predicts a day when the same king would make all things right, bring lasting peace, and rule over all. That hasn’t happened yet. But the king is coming. He’s coming back. He’s coming to complete the fulfillment, to finish what he started. Today the world is broken, but the king is coming. Today you are tired, or weary, or discouraged, but the king is coming. Today you are hurt by the sin of others, but the king is coming. Today the wicked prosper, but the king is coming. Today we don’t always see the reward for faithful service, but the king is coming. We ought to live and work and love and pray and hope and preach and evangelize and HOPE because the king is coming. The day when “he shall speak peace to the nations” and “his rule shall be from sea to sea” (9:10) is still coming. But you can have peace today. You can have hope today knowing this king, Jesus Christ. It’s a prophecy, but it’s given as a command. And seeing the context of how it is fulfilled in light of Jesus’ life, death, and resurrection, this Palm Sunday is an occasion for us to hear this command and obey. Jesus is the king, and the king is coming.